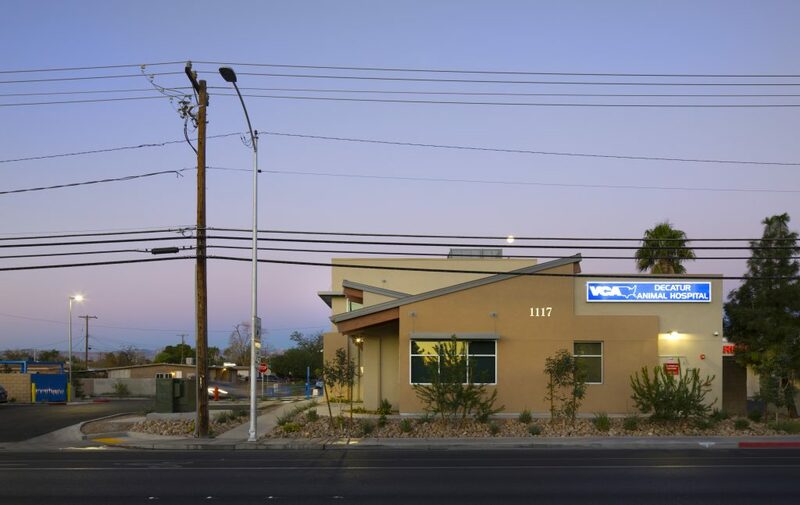 Decatur Animal Hospital occupied a small building on an even smaller site in the rapidly growing north Las Vegas area. 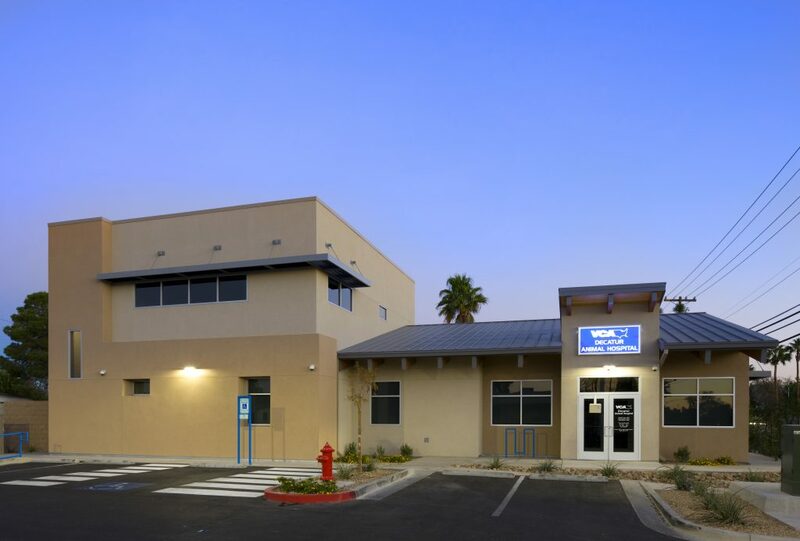 The hospital and parking needed to expand to accommodate the growing client base. 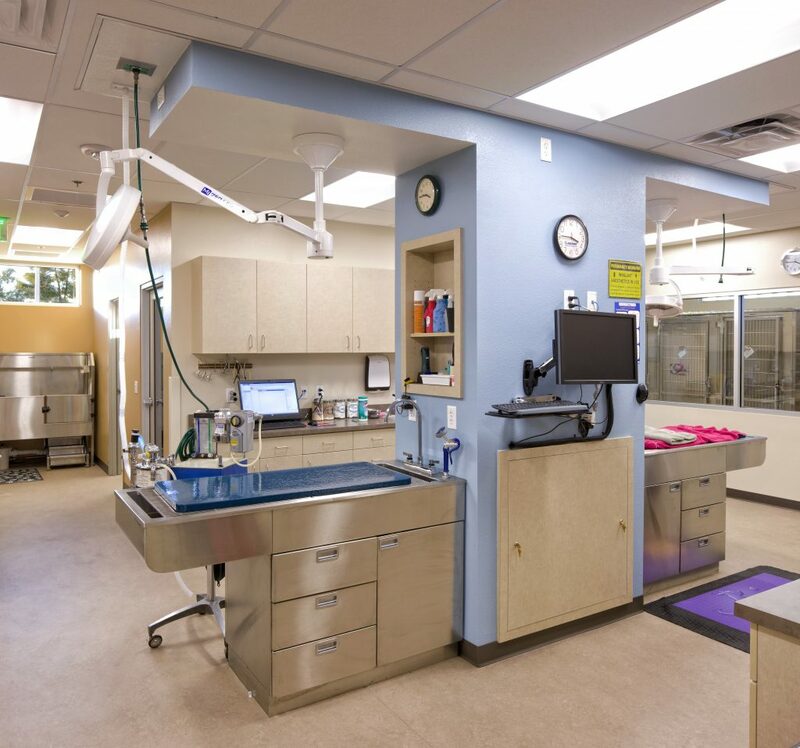 Rather than renovate the existing building, the decision was made to build a new building on the same property so that the existing hospital could stay in operation during construction. 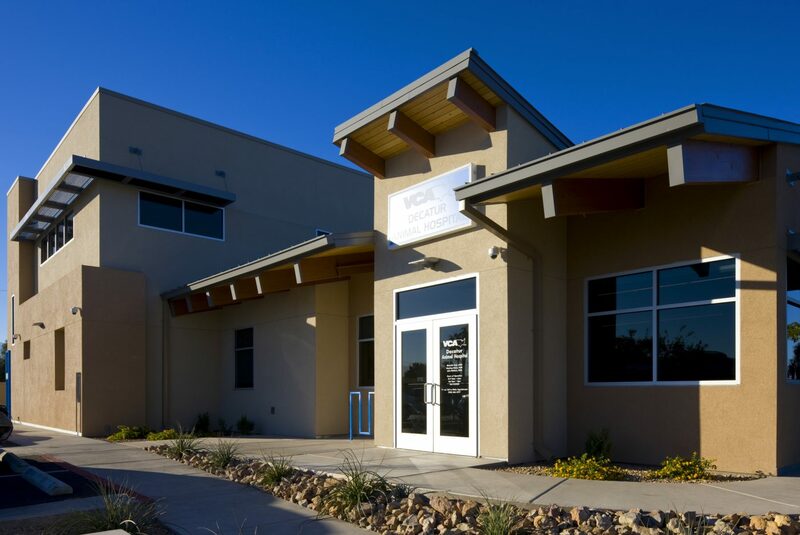 The reception area is a spacious, two-story room with north-facing clerestory windows, and direct access to four exam rooms. 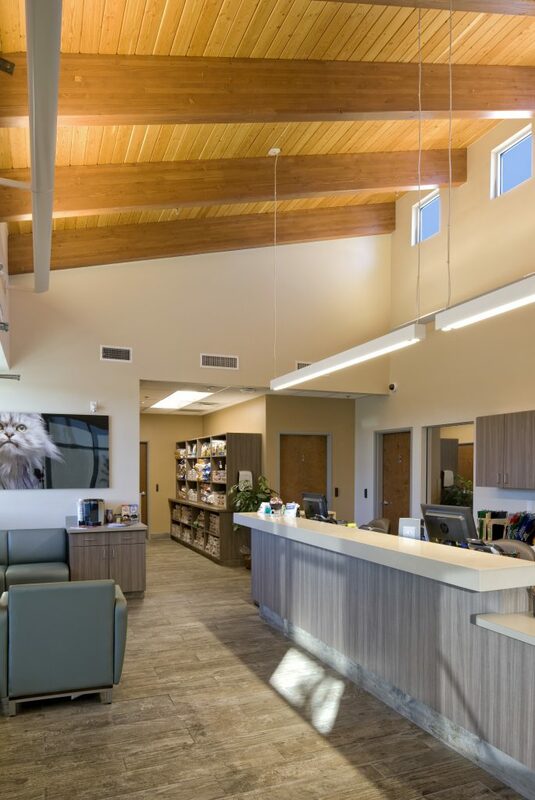 Warm wood patterned floor tile and an exposed tongue and groove wood ceiling define the reception area to create a lively yet durable space. 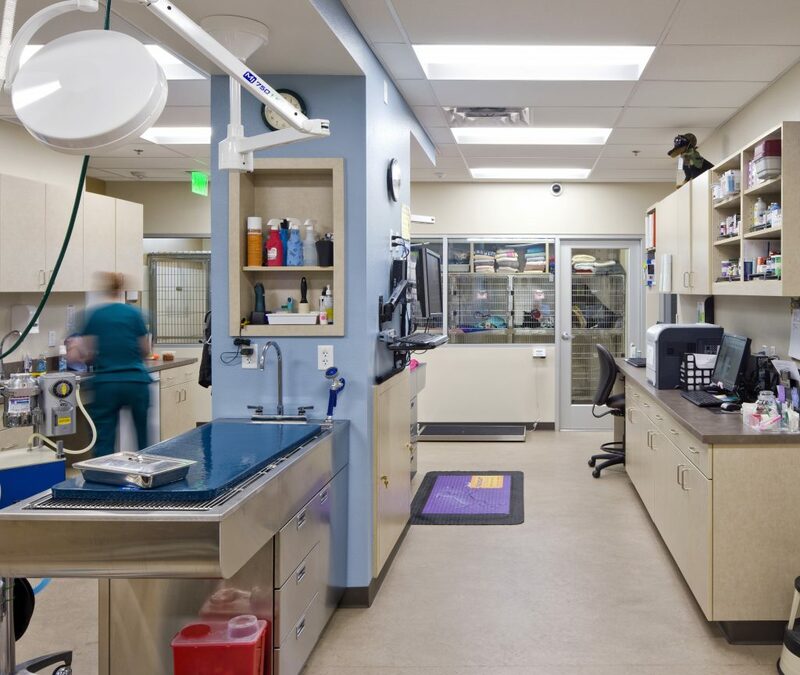 The hospital functions are centered on the treatment area to provide attentive and efficient medical care to the animals.